Out of stock since Monday, 4 February 2019. Due back soon. Vet's Kitchen Healthy Digestion for Dogs is a high strength veterinary formulation specifically designed to maintain and improve your dog’s digestion. It contains prebiotics which promote healthy gut function as well as L Glutamine (for maintaining the gut wall), Aloe Vera and Artichoke Extract to maintain a healthy overall digestive system. These natural active ingredients are mixed into a delicious chicken sauce to compliment their meal. 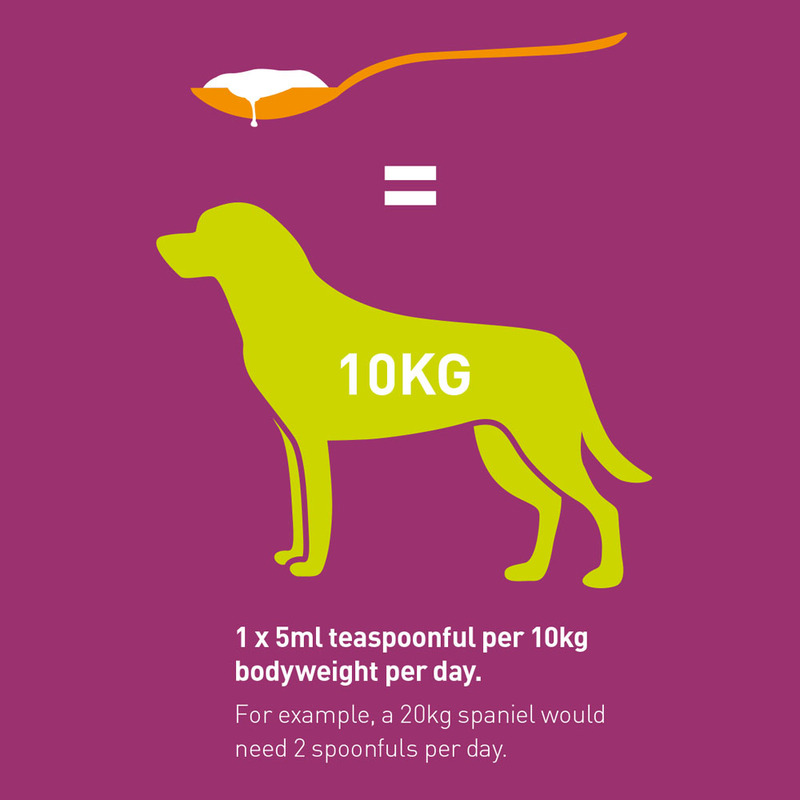 1 x 5ml teaspoon per 10kg bodyweight per day. There are currently no questions for Vet's Kitchen Healthy Digestion for Dogs - be the first to ask one!